(CBS News) The 2012 Video Music Awards featured a few fresh faces mixed with many familiar ones. 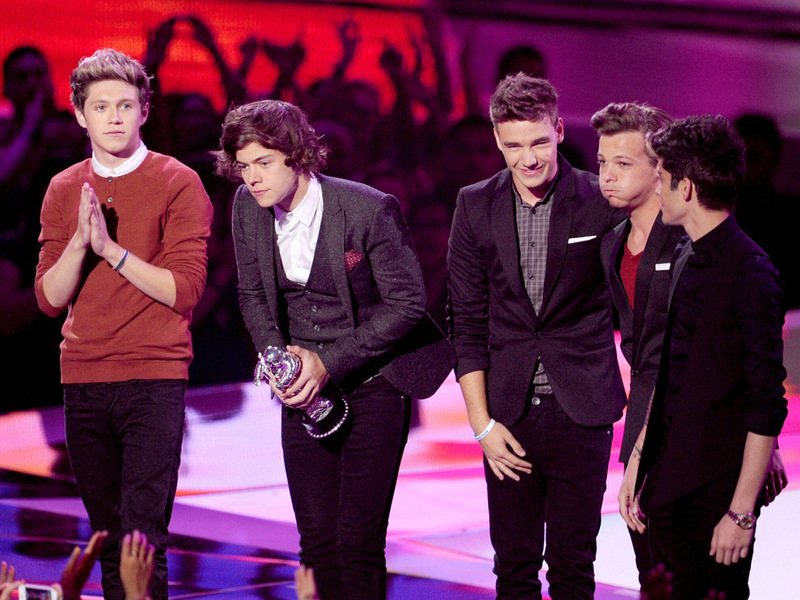 One Direction won a whopping three awards, while Rihanna took home the night's most coveted honor - video of the year. Best video with a message -- Demi Lovato, "Skyscraper"
Most share-worthy video -- One Direction, "What Makes You Beautiful"
Best Electronic dance music video -- Calvin Harris, "Feel So Close"
Best pop video -- One Direction, "What Makes You Beautiful"
Best male video -- Chris Brown, "Turn Up the Music"
Best female video -- Nicki Minaj, "Starships"
Best rock video -- Coldplay, "Paradise"
Best direction: M.I.A., "Bad Girls"
Best art direction: Katy Perry, "Wide Awake"
Best choreography: Chris Brown, "Turn Up the Music"
Best visual effects: Skrillex, "First of the Year (Equinox)"
Best cinematography: M.I.A., "Bad Girls"